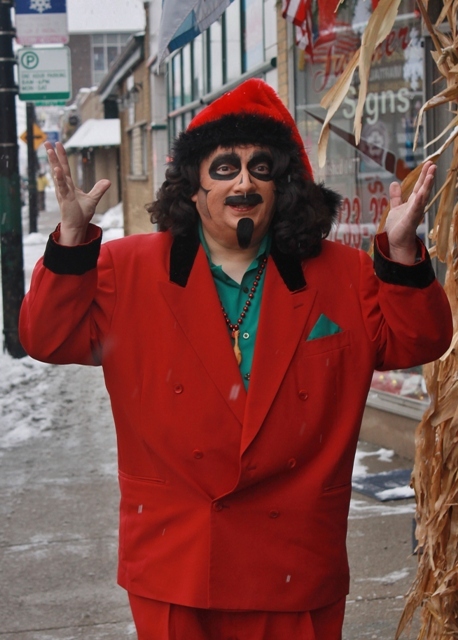 The next weekend, Svengoolie would return, this time appearing at Alternative Reality Comics in Mt Greenwood: a shop owned by a man named Tim Davis. 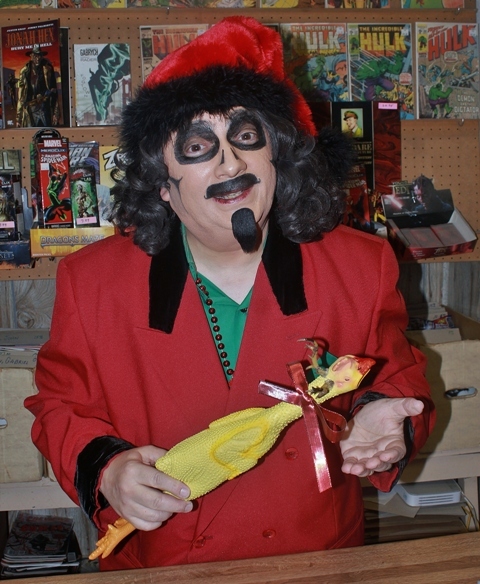 Davis is pals with my fellow Goolie, Brian Bernardoni, and it’s his store window that hosts Brian’s amazing Svengoolie coffin & props when not being utilized for Brian’s Halloween yard haunt (and you can check out that fantastic set-up by clicking HERE). At last our mutual idol would get to see Brian’s great work in person which I know had always been a dream of Brians. It also gave the world another opportunity to meet Sventa Claus…the first ever outside of Comic Collector.